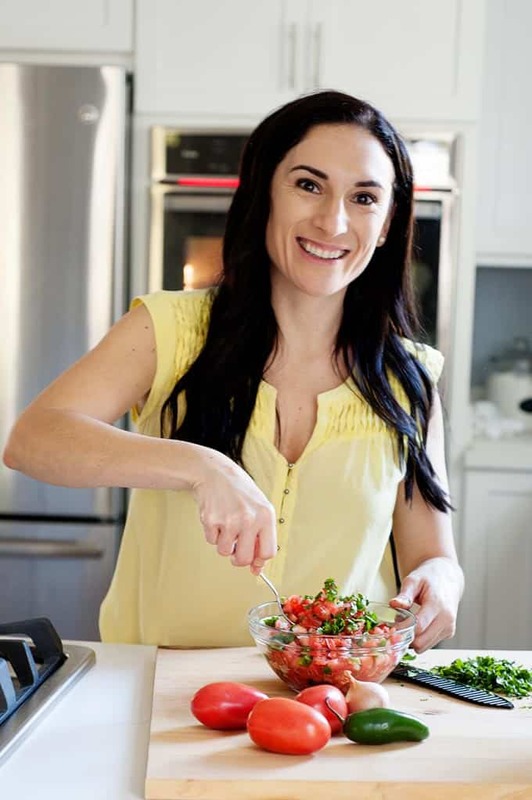 While you can find my Pico de Gallo in the Taco Tuesday Cookbook with recipes like the Mexican Short Rib Tacos, Salsa Verde Tacos, and others, I thought it was too good not to share with you guys so… I made a video to walk you through every step of this super-simple pico recipe. 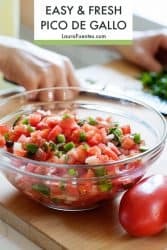 Pico de gallo is the epitome of fresh food! Tomatoes, red onion, jalapeño, garlic, cilantro, lime, and salt. So simple and SO SO Good! 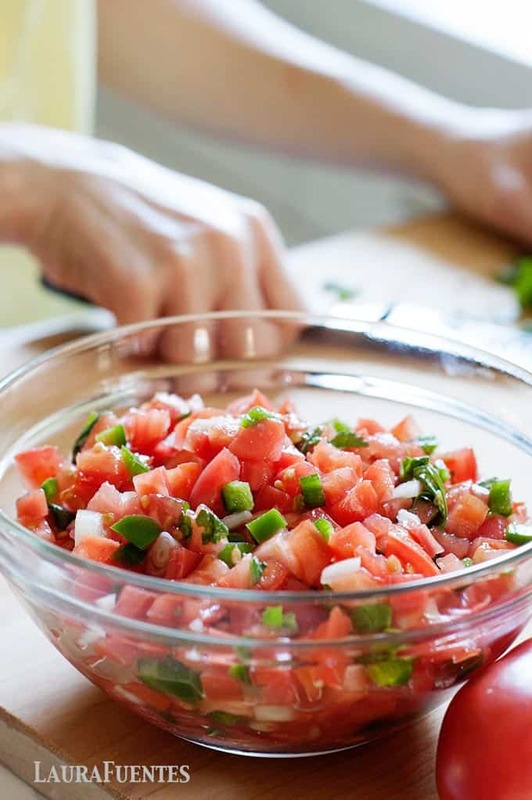 If you can chop tomatoes, you can make pico de gallo! The recipe does require a lot of chopping but it’s over with soon and lasts for up to 5 days in the refrigerator- totally worth it! 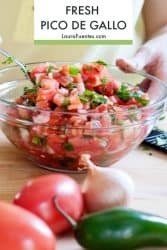 While store-bought pico de gallo might be slightly more convenient nothing tastes like this fresh, homemade version, plus you’ll be blown away by how easy it is to make it from scratch. I always double the recipe, that way there is enough to go around on Taco Tuesday and all the leftovers can be used on top salads, grilled chicken, seafood, or simply by itself with a bag of chips. What can I use Pico with? This list could go on for eternity, so I’ll stop now. Just know it’s good on anything you’d eat with guacamole. Made with all fresh ingredients its kind of impossible to be unhealthy unless you are allergic to tomatoes. 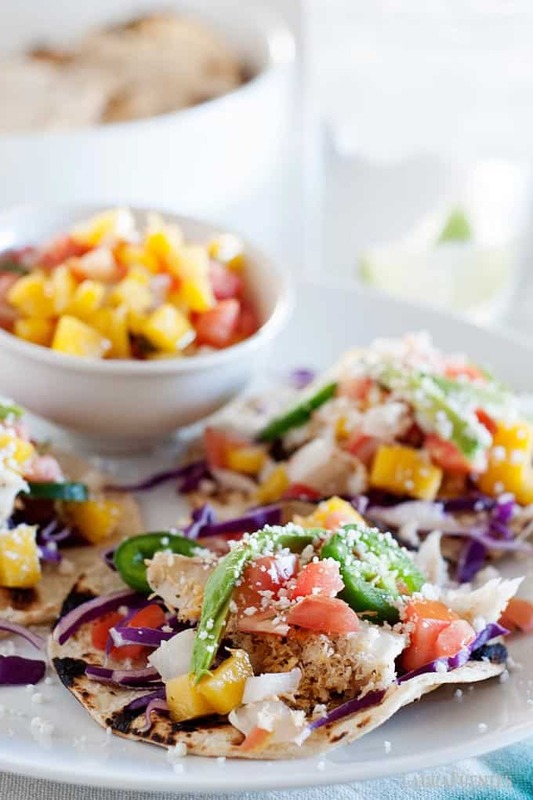 This is one of those recipes that proves healthy food, doesn’t have to be sad food! You can have flavor-rich meals and snacks while eliminating processed foods from your diet altogether. In fact, I’ve laid out everything you need to know about eating better as a family, without sacrificing the flavors your spouse and kids love in this free ebook. 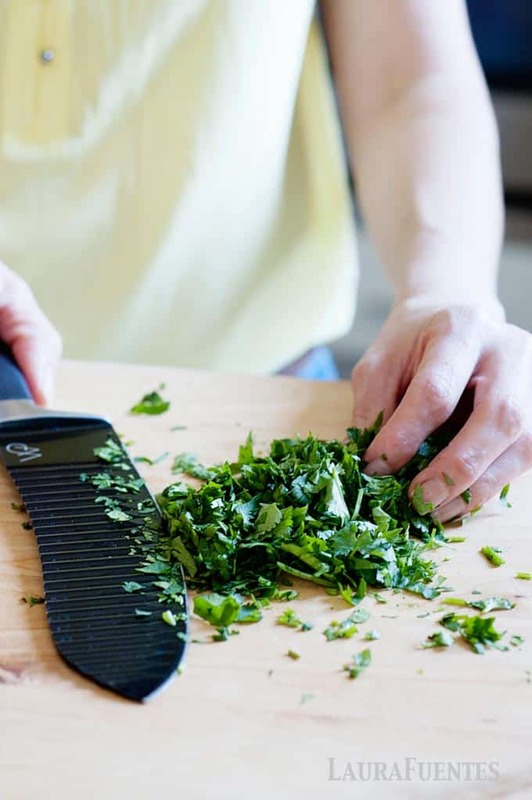 You’ll find recipes, sample meal plans and more to help get you started eating better as a family. Get your free guide here! Pico Dd Gallo vs. Salsa – What’s the difference? Both are made with the same ingredients but salsa has a more smooth and liquid consistency and can sometimes be cooked. 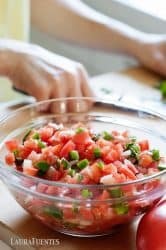 Some variations use corn, beans, or tomatillos, hence salsa verde but pico de gallo is chunky with each chopped ingredient being visible. However, both are equally delicious. 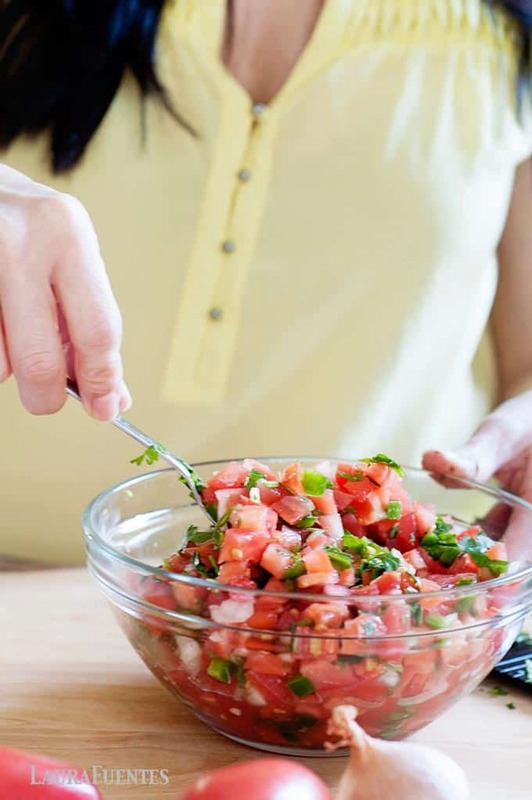 How do you like to eat pico de gallo? 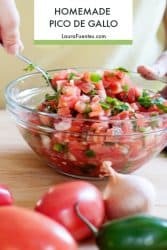 In a large bowl, combine the tomatoes, onion, jalapeño, cilantro, and garlic. Serve right away or refrigerate until ready to use.